As Senior VP of Global Strategic Alliances at Elsevier, Dr. Brad Fenwick is responsible for the development of strategic academic, governmental and private sector partnerships. Here, he writes about The University of Texas System’s launch of Influuent, a free online database designed to link world-class researchers and resources across The UT System with potential collaborators in the private and government sectors. In the highly competitive academic research environment, universities are looking for new channels to support their basic, applied and clinical research programs. A free web portal called Influuent will facilitate internal and external collaboration so organizations can access the vast knowledge and resources of The University of Texas System. 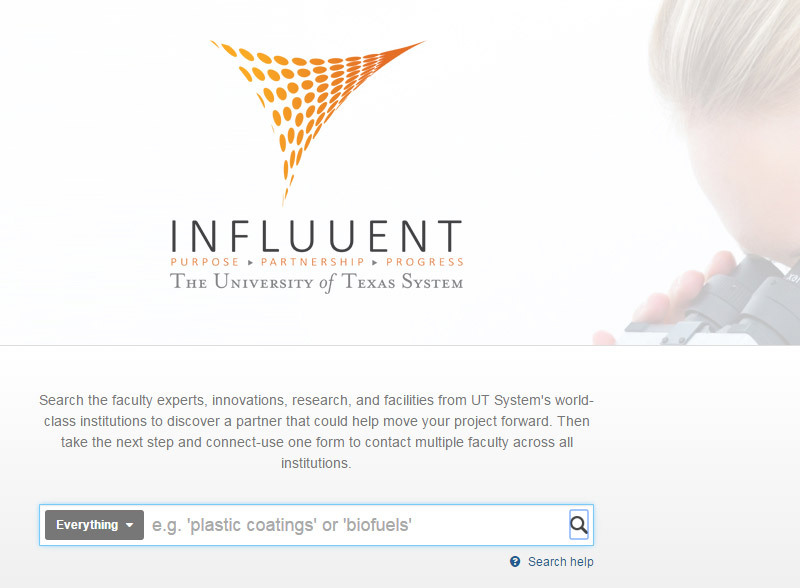 Influuent was a joint development effort, with The UT System creating the portal’s homepage and a wide variety of content and resources, and Elsevier providing the researcher profile data and search functionality. UT System will field inquiries from potential partners who locate UT System researchers and resources of interest via the Influuent portal. 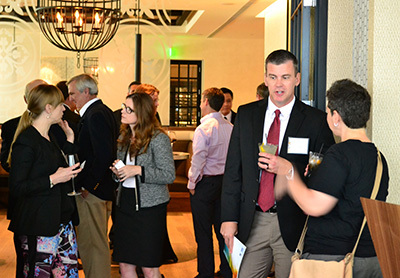 On Tuesday, the portal was introduced to key stakeholders and potential collaborators from The UT System, the private sector, regional government and economic development agencies at an event in Austin hosted by The UT System and Elsevier. The State of Texas is a leader in academic research. According to the recently released America’s Knowledge Economy: A State by State Report, Texas ranks fourth among all states in academic research output and second in the nation for the number of U.S. patents granted. In addition, Texas has ranked third in the nation for research and development funding over the past 10 years ($43.1 billion). This productivity is hardly surprising considering that The University of Texas System is one of the largest public university systems in the U. S., with nine academic universities, six health institutions and an enrollment of more than 214,000 students. With $2.7 billion in research expenditures last year, it ranked second among systems of higher education. Influuent is a free web-based networking and collaboration portal that allows private sector, government agencies and other scientists to find thousands of renowned researchers and facilities at UT System's academic campuses and health institutions. Its purpose is to enable researchers to easily identify and connect with faculty experts in every department to collaborate with on all levels of research, develop new technologies and improve the discovery and knowledge transfer process. The UT System has the largest database in the nation with such capabilities. As science becomes more interdisciplinary, researchers need ready access to the most cutting-edge work being conducted in a broad array of fields, sortable and accessible in a variety of formats. Influuent is the gateway to more than 15,000 UT System researchers who have produced more than 100,000 publications in the last five years in science, medicine, engineering, energy, transportation and business. Influuent’s search tool scans and analyzes every publication in Elsevier’s Scopus database, the largest and most up-to-date abstract and citation database of peer-reviewed research literature. The tool is powered by Elsevier’s Pure Experts Portal, which provides discipline expertise profiling and research networking capabilities, making it easier to find experts and form teams within institutions and across organizations. The profiles for the 15,000 researchers were created by the Profile Refinement Services team in Elsevier Research Intelligence. They did this by taking the researchers’ publication history from Scopus and creating “fingerprints” of expertise based on 10 different thesauri. The fingerprints allow people to find subject matter specialists in the Influuent database. Influuent is not just a database with a search engine, however. The researcher profiles are human-curated; a real person reviews the data to provide a high degree of accuracy and recall for publications across the researchers’ careers. In addition, publications are updated weekly by algorithm and then checked by a person every few months thereafter. UT System’s senior administrators are understandably enthusiastic about Influuent’s potential to develop and bring ideas to fruition through collaborative partnerships. As one of the largest employers in the state, The UT System educates two thirds of the state’s health care professionals annually and receives almost 70 percent of all research funds awarded to public universities in Texas. “The University of Texas System has research expenditures of nearly $2.7 billion and a wealth of faculty experts for public- and private-sector organizations to tap into with Influuent,” said Dr.Patricia Hurn, Vice Chancellor for Research and Innovation. The Profile Refinement Service offered by ElsevierResearch Intelligence creates researcherprofiles with little to no data entry burden on research institutions’ facultyand staff. Starting with authorship data from Scopus – the world’s largestabstract and indexing database of scientific literature – the team usesadvanced disambiguation algorithms to create publication lists for authors andthen subjects those publication lists to rigorous manual review. Newpublications are automatically added to each profile weekly, keeping profilescurrent. Additional human curation multiple times per year thereafterkeeps profiles accurate. Using Profile Refinement Service data in conjunction with Pure – a centralized research data management system from ElsevierResearch Intelligence – makes it easy to create, populate, edit and showcaseaccurate and up-to-date researcher expertise information by automaticallyretrieving publication lists, grant support, and other research and CVinformation from relevant internal and external databases. Read more about ElsevierResearch Intelligence and Pure. As Senior VP of Global Strategic Alliances at Elsevier, Dr. Brad Fenwick is responsible for the development of strategic academic partnerships. 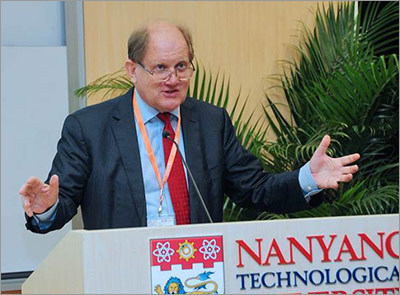 He joined Elsevier in 2012 as Senior VP for Global Strategic Alliances. 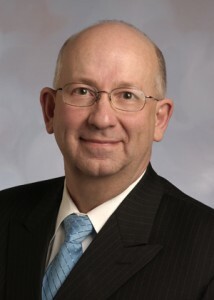 Previously, he held research executive roles as Vice Chancellor for Research and Engagement at the University of Tennessee, Knoxville, where he also served as Professor of Pathobiology in the College of Veterinary Medicine, and VP for Research at Virginia Tech. In 2011, he was named a fellow of the American Association for the Advancement of Science for distinguished contributions in the field of veterinary and comparative medicine, scientific association leadership, editorial review, and research program development and administration. He holds a Doctor of Veterinary Medicine (DVM) degree from Kansas State University and a PhD in comparative pathology from the University of California, Davis. Mapping America’s knowledge economy: How do the states compare?